Christmas can be a difficult time for many people. A significant loss can make the season much more of a blue Christmas, that one of Joy. And when moments of Joy do come, we might feel guilty for feeling that way. 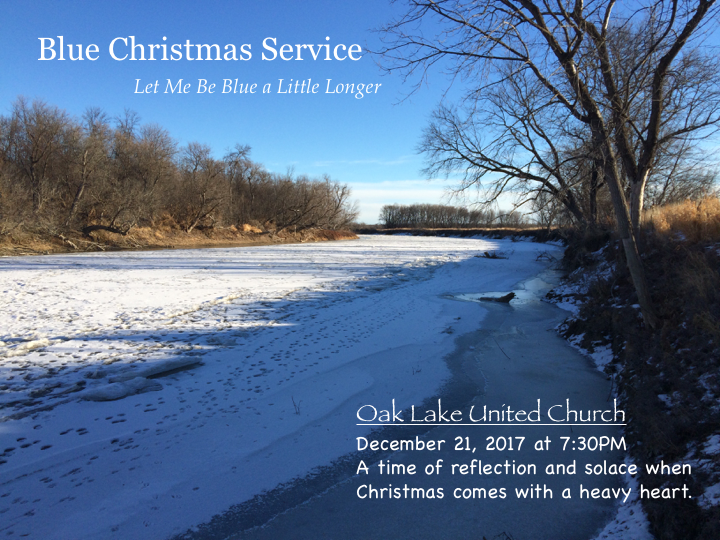 The Blue Christmas Service is a quiet, contemplative service where we can be in the season, and make it okay to feel sad.